At East Wickham Primary Academy, we love ART! 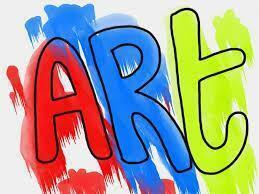 Art allows our children to think and learn visually and to experiment and express themselves in a creative way. We explore various artists, designers and makers throughout history and apply their techniques and ideas to our own work. This year, we are using a range of 2D, 3D and digital media including sketching, painting, sculpture, collage and photography. Pupils’ art is displayed around the school to celebrate their hard work and we are always impressed with their accomplishments! Along with exciting competition opportunities, all year groups are given the opportunity to improve their art skills throughout the year, which culminates and is celebrated in our successful summer Art Gallery. We hope you enjoy looking through examples of our art work below, including last year's circus-themed pieces.